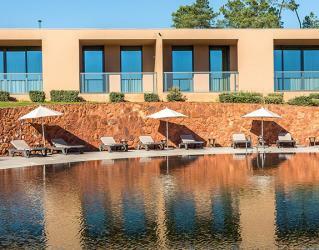 Penina Hotel & Golf Resort is located on a prestigious estate with 3 beautiful onsite golf courses in Algarve. 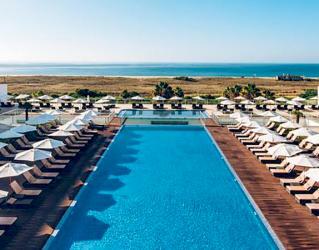 A favourite for golfers who love Portugal, this resort certainly exceeds expectations with its 5* luxury offerings. 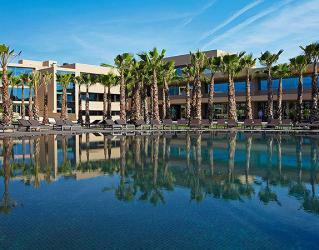 Anantara Vilamoura Algarve Resort is a landmark of quiet prestige located along southern Portugal’s picturesque Algarve coast. Anantara’s debut European property allows guests to experience in spacious rooms, suites and penthouses with privileged views of cerulean pools, leafy greenery and the stunning Victoria golf course, home of the Portugal Masters. 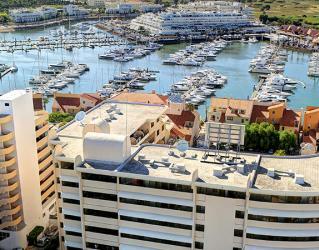 A very pretty property, the Tivoli Marina Vilamoura has a symbolic presence within the Vilamoura Marina. Overlooking both the Marina and the Glistening Atlantic Ocean, the Tivoli Marina offer its a guests stunning views to relax and wind down or even to wake up to! 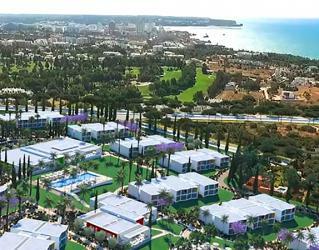 Dom Pedro Vilamoura Resort offers to golfers top European golf courses. Five minutes away from the Vilamoura Marina, this upscale hotel is right opposite the Vilamoura Casino and 150 meters away from the beach – a prime location, especially by golfers, as it is in the heart of a wide variety of golf courses to enjoy unforgettable moments. 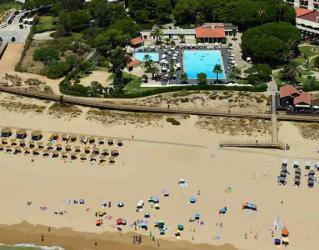 Also, the free shuttle service to the golf courses in Vilamoura will please the golfers. Home to 2 stunning championship courses; Vale Do Lobo Ocean and Vale Do Lobo Royal, you will have an unforgettable luxury golf holiday experience. 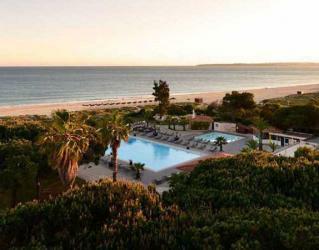 The hotel located in a unique position on a beach with 2 km of golden sand and stretched over 450 hectares of pristine Vale Do Lobo is a luxurious, self-contained holiday development. Here you will have the comfort of your home while the enchanting golf courses are right on your doorstep. 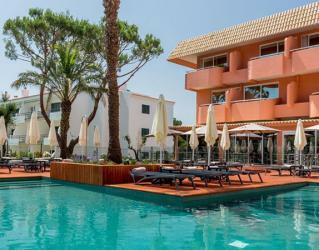 The Vila Galé Ampalius Hotel located ten steps from the Marina Beach, near the Vilamoura Casino and at a short distance from several golf courses; this hotel has all that you need for Algarve’s entertainment and peacefulness. And many different services that include a restaurant, health club, outdoor pools for adults and children and tennis courts for relaxing. São Rafael Suites, a five-star All-Inclusive resort in Algarve, is a favourite amongst golfers that are regular travellers to Portugal with its easy access to Morgado, Alamos and Salgados golf courses. 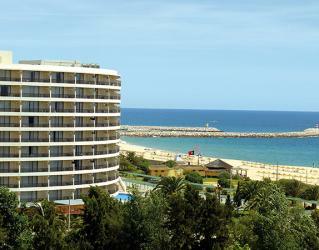 Situated in Albufeira, right across the São Rafael Beach, the resort has dazzling views overlooking the ocean. The All-Inclusive luxury resort provides everything expected from a 5-star resort. The satisfactory and fresh buffet dishes in the restaurant, spirits, wines and local beers in the bars will add to your joyous golfing holiday. 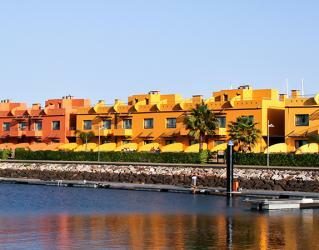 There is also a complimentary shuttle service to Morgado, Alamos and Salgados golf courses from the resort, as well. 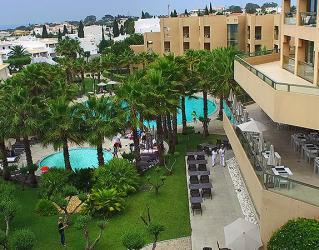 Located in the centre of Albufeira, the Real Bellavista Hotel & Spa has a unique feature of being located in one of the quietest and most peaceful areas of the town. The Real Spa Therapy, its gym, indoor facilities and outdoor swimming pools and leisure facilities, contribute to make this Hotel a paradise for relaxing and switching off from the world. The prestigious Crowne Plaza Vilamoura has a prime location; a variety of great golf courses nearby, right on the beachfront, next to the Casino and just a few meters from the renowned Vilamoura Marina. The top-notch hotel will please all golfers travelling to Algarve with its top class quality, comfortable rooms and public areas combined with a touch of the nature, privileged location and private transfer service to The Old Course, Millennium, Laguna, Pinhal and Victoria golf courses. 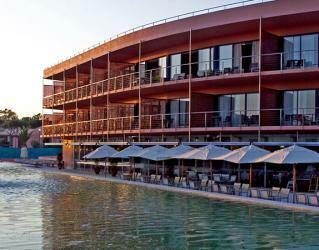 A member of the Pestana family, this four-star hotel is among the top choices of golfers who prefer the Algarve region. 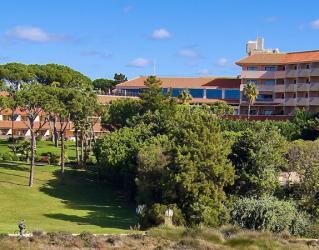 For the convenience of its guests, the hotel connected to Gramacho, Pinta, Silves, Alto and Vila Sol golf courses. 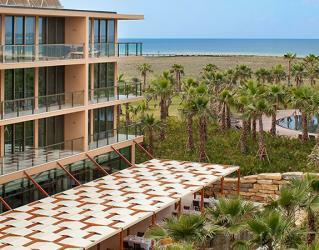 The beachfront hotel offers stunning sea views all over its surroundings. The hotel has a delightful stay with its fabulous facilities, modern rooms, saltwater pool, the pleasant restaurant, the superb beach of Alvor and easy access to the surrounding golf courses. 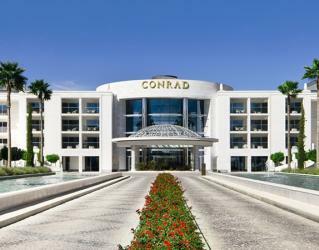 Conrad Algarve is five-star luxury hotel in the heart of Algarve in Quinta do Lago, offering a unique and unforgettable holiday both for golfing and for relaxing. Just 20 minutes away from Faro Airport and with some of the region’s splendid golf courses on its doorstep, the top-notch Conrad Algarve Hotel is a favourite amongst golfers with its superb facilities, luxury accommodation offers, top class personalized service, golf-friendly concept and a short distance to the nightlife in town. 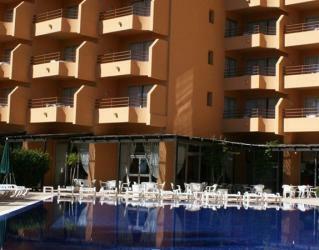 Amendoeira Golf Resort Hotel is the right place for those loving a holiday with golf and many more activities. 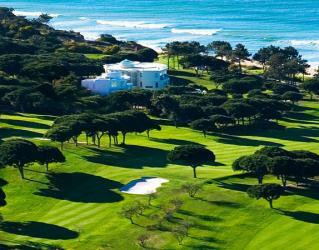 The resort has magnificent viewed and beautifully settled three golf courses. Four different accommodations are available for more privacy and comfort and all the villas, rooms have a dishwashing machine, toaster and microwave, among many others. Dom Pedro Portobelo Hotel offers to have the privacy and comfort of your own space, with all the advantages of four-star apartments. The hotel’s excellent location at the centre of Vilamoura, facing the Casino, Vilamoura beach and a short distance from the Marina, makes it easy to discover Vilamoura’s main attractions. 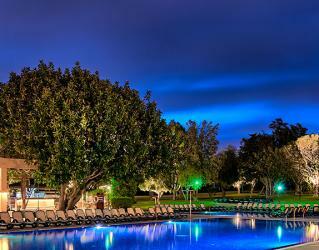 With an outdoor pool for adults and a separate wading pool for children, the hotel features a bar and a restaurant that serves Portuguese cuisine. Around the hotel, you will find Vilamoura’s International Marina, one of the main attractions in the Algarve, with bars, esplanades, nightclubs, restaurants and shops, which bring the Marina to life all year long. 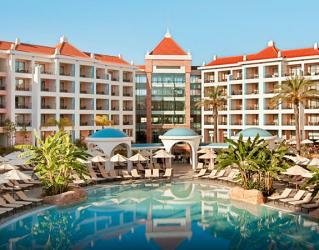 Hilton Vilamoura As Cascatas, surrounded by stunning gardens. 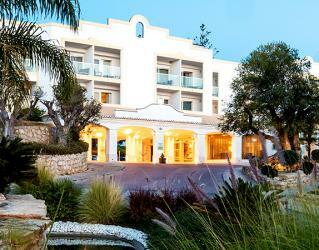 The hotel is preferences of golfers, proximity to Vilamoura golf courses, including Pinhal Golf Course. 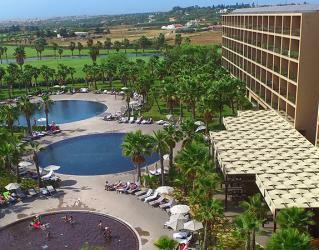 Just twenty minutes from Faro International Airport, this five-star luxury resort just located in a quiet area surrounded by superb golf courses. The six swimming pools, world-class service quality, stylish rooms with maximum comfort, gourmet culinary options, breathtaking Falésia private beach and Portugal’s largest Spa facility with amazing treatments will make your stay here stunning. 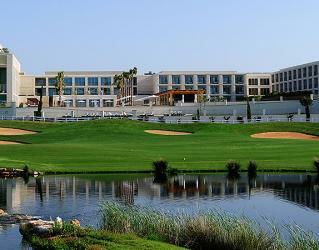 The hotel provides free shuttle to golf courses in Vilamoura. A member of NAU Hotels & Resorts, the five star Morgado Golf & Country Club is among the top preferences of golfers offering a unique stay in spacious rooms overlooking the outstanding Morgado Golf Course. An unforgettable golf holiday is all you need and what you will find in Morgado Golf. Situated between the stunning beaches of Portimão and majestic Monchique Mountains, the surroundings of the hotel are fantastic. The panoramic golf and nature views out of your room, reaching out as far as the eye can see is all it takes to stimulate you on a beautiful day for a heavenly golfing experience. 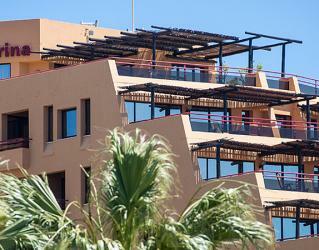 For the convenience of its guests, the hotel offers free shuttle service to the sister courses Alamos and Salgados. 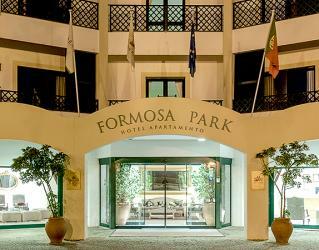 Your first stay in Morgado Golf & Country Club in Portimão will not be the last one. A member of NAU group, Salgados Palace is a favourite among golfers with its direct access to the mesmerising Salgados Golf Course and easy access to Morgado and Alamos courses. 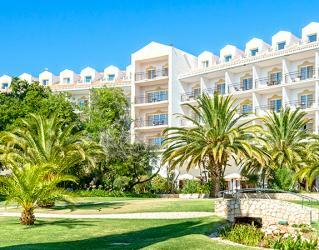 Salgados Palm Village is a four-star All-Inclusive resort in the Western part of Algarve. The place is a popular golf holiday destination. 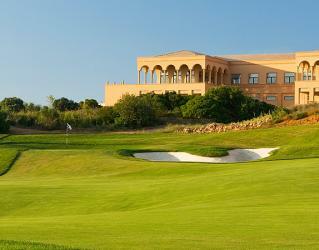 From the resort, you can easily access to Morgado, Alamos and Salgados golf courses. The hotel located in a privileged area within Albufeira, in a short walking distance to the enchanting Salgados Beach and surrounded by some of the most prestigious golf courses in Algarve, you will experience gorgeous leisure and golf holiday here. 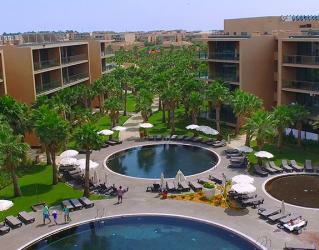 The resort offers a comfortable stay with its complimentary shuttle to Morgado, Alamos and Salgados course. Pestana Delfim is a popular Algarve golf hotel with 4* all-inclusive regime and its outstanding Gramacho, Pinta, Silves, Alto and Vila Sol golf courses. 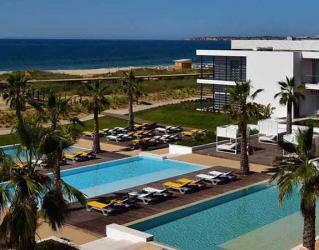 A favourite among golfers with its wonderful Gramacho, Pinta, Silves, Alto and Vila Sol golf courses, the four-star Pestana Alvor South Beach offers a unique holiday experience for its guests with its unique concept. 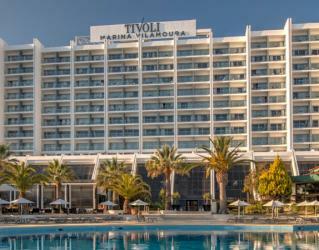 Tivoli Marina Portimão Algarve Resort is an excellent choice for those loves to stay in the centre in the city. Overlooking the magnificent Vilamoura Marina, just a few hundred meters from the beach and close to the casino, Vila Galé Marina is located in a superb position right in the heart of the city. 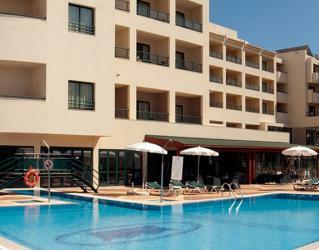 The Vilamoura Garden Hotel located in the heart of the Algarve. 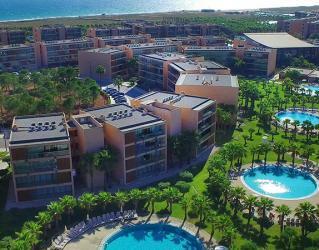 The hotel surrounded by Europe’s unique best golf courses, sandy beaches, and the award-winning Vilamoura Marina and a 200 hectare Nature Park. A hotel is an ideal place for a couple and family travellers. 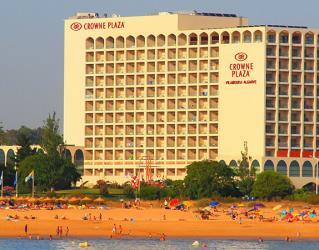 A five-star family hotel is located on the Praia de Mera beach and just 4 minutes away from the historic city of Lagos.